APEX Brain Centers is very excited to announce that they have been chosen for the summer cohort of Scale Up WNC, a part of Advantage West. 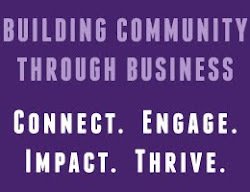 During this time APEX, along with 14 amazing small, local businesses, will gain invaluable tools and guidance for “scaling up” their business. “This is an amazing opportunity for us and we are proud to be included in such a talented group of our peers. We are incredibly excited to see growth and bring more business to Asheville," says Dr. Michael Trayford, Founder of APEX Brain Centers. APEX is also offering a brain optimization workshop in Asheville on July 21st. This half day workshop will be jam packed with interactive sessions, self-assessments, and valuable strategies to help you build a better brain. Join the experts for the rare opportunity to learn how you can improve memory, focus, stress level, brain function and much more!